Crank Up The Radio And Hear Little Miss Wordy! Judyth Piazza, talk show host and journalist, interviewed me on The American Perspective. What did we talk about? Red Circle Days of course! “regularly scheduled blogging” next week. Indulge me a little longer while I celebrate a very special Red Circle Day in my life! There are moments in our lives that are imprinted into our very soul. Moments that don’t require a photo album or memory book for us to revisit them time and time again. Some may bring to life the very feelings of sheer happiness they brought the day we experienced them. Others bring the heart wrenching sorrow we spend years trying to erase. These are moments that don’t need a reminder or a red circle on a calendar date, our hearts wrapping around them much like the tiny box on a calendar, keeping them contained only to bring them to the surface each year. Red Circle Days is a collection of those moments that I will forever carry with me, thought-provoking moments and stories which have left an indelible imprint on my very soul. 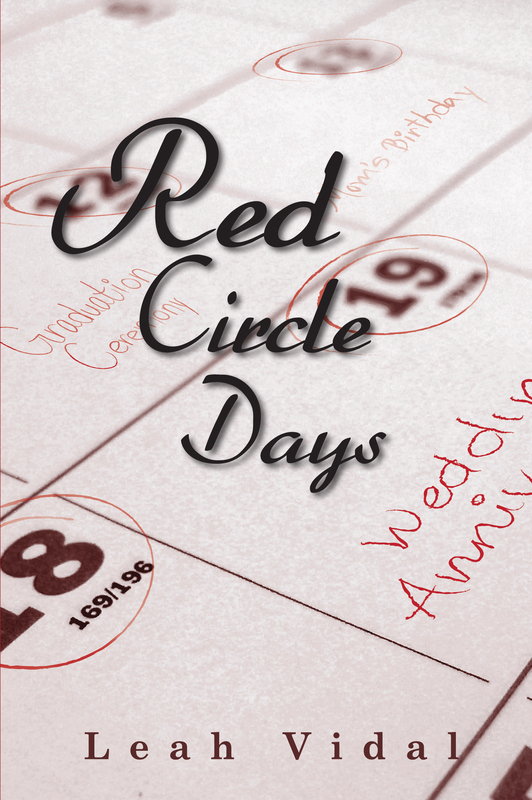 Red Circle Days is available on Amazon, Kindle, Nook, the Apple iBookstore, and Sarah Book Publishing. It’s Like Giving Birth On Christmas Day And Having The Easter Bunny Stop By! Red Circle Days Is Out! ← It’s Like Giving Birth On Christmas Day And Having The Easter Bunny Stop By! Red Circle Days Is Out! Thank you! I was nervous as hell! Thanks for stopping by. Happy Monday! Leah (I just learned your name)!!! This is so exciting!! Good for you! Congrats, Little Miss W. ! !